Held in the highest regard for their exquisite craftsmanship, innovative designs and superb quality, Sleepeezee is one of the world's best known bed and mattress manufacturers. 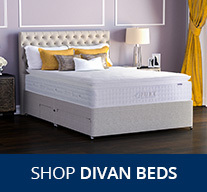 Having grown since their establishment in the early 1900's, Sleepeezee Mattresses and Divan Beds provide a touch of class and luxury to your bedroom. 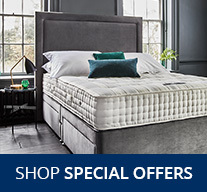 Choose from our fantastic range of beautifully designed Sleepeezee mattresses, including orthopaedic and backcare mattresses, pocket sprung and memory foam mattresses for the perfect night's sleep you have been dreaming of! 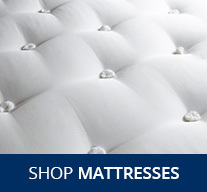 We want you to love your Sleepeezee mattress. With this in mind, all of our Sleepeezee mattress come with a 60 Night Sleep Trial. Spend at least 30 nights on your new mattress and judge it for yourself. If you're not 100% happy, you may exchange it for a different model from the Sleepeezee range. Terms and Conditions apply.